I first came to Mersea Island Vineyard in May, just to check out the area & to find the most beautiful spots for Gill & Rowland’s wedding. There is something about this venue which draws me in, it’s a little understated, but equally charming, and the vines add that magical touch. It’s run by a lovely man called Roger, who made me feel very welcome. 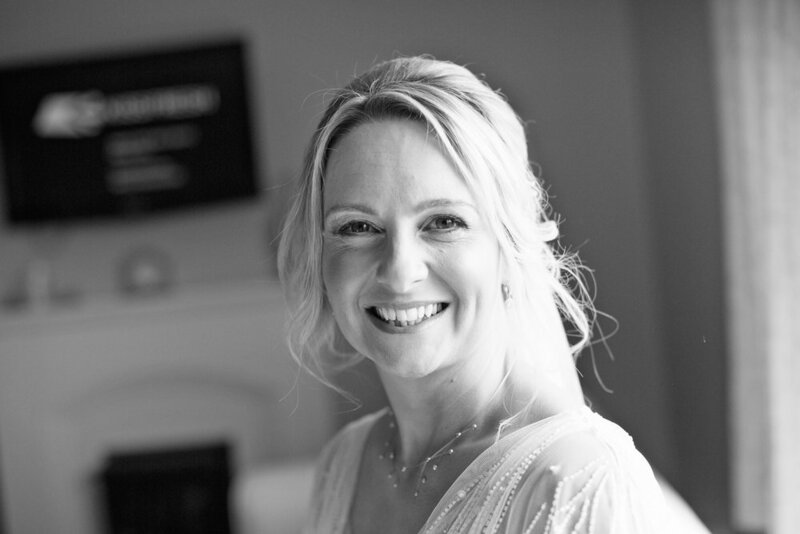 Gill made such a stunning bride, she had an effortless way about her – when she got in contact with me, her words were ‘I'm not doing cut the cake' ’We're not having a first dance' ‘We're not having a formal sit down meal’… she just wanted to have an amazing informal day, done in their own way. It was informal, but it totally worked. No one expected the English weather to be so lovely, it was one of those days where it all just came together. 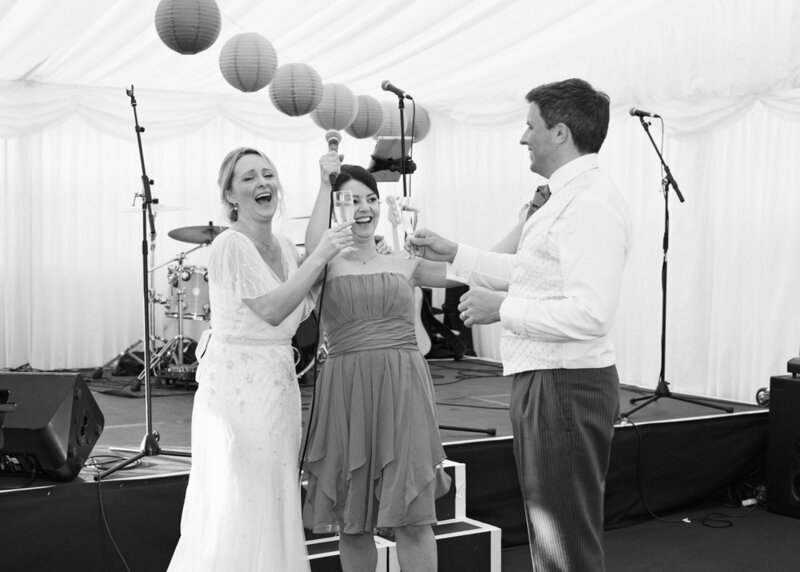 Their ceremony was full of surprises, with almost rom-com movie style humour... towards the end of the ceremony, guests were jumping up out of their seats, playing instruments, all singing along to the Beatles classic ‘All you need is love’. They went on to enjoy a tasty hog roast, with some hilarious speeches, followed by Rowland serenading Gill by singing to her, with a full band line up. It was great that Gill & Rowland felt so comfortable in front of my camera, so much so that I already have some personal favourites from this shoot. 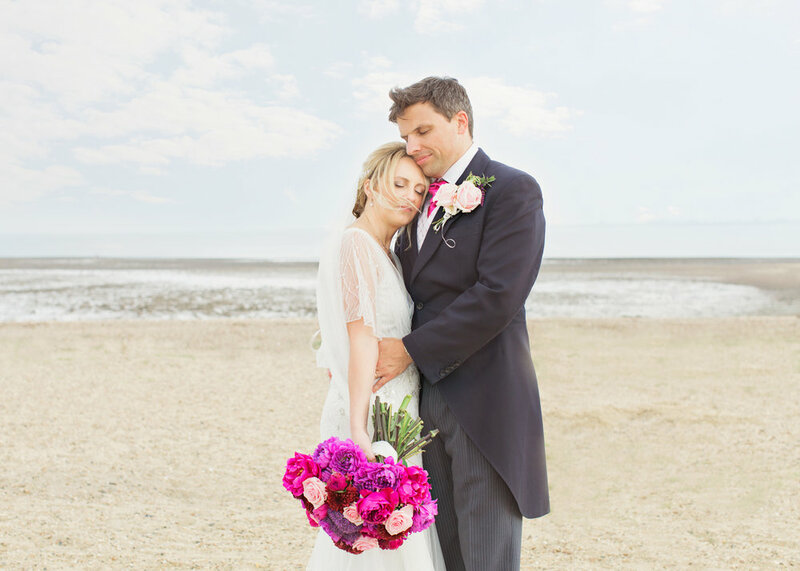 We were a 5 minute drive from Mersea Island Beach, so we made the most of a quiet spot for their portrait shots, right by the classic looking pastel beach huts.